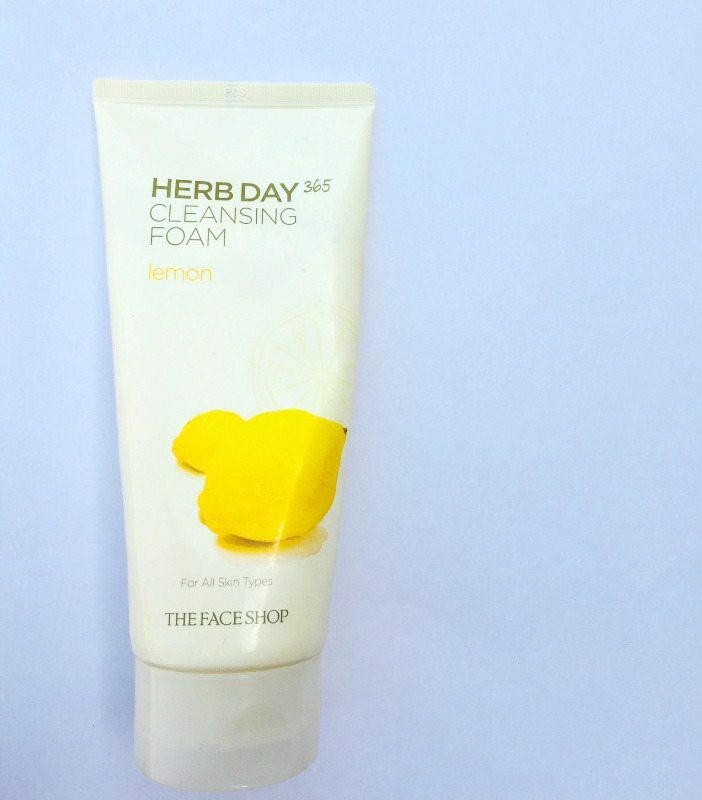 The Face Shop Herb Day 365 Cleansing Foam :Hi, my beauties,I am back with another review and this time it is THE FACE SHOP HERB DAY 365 CLEANSING FOAM in LEMON. We all know Korean brands are kind of a new theme in the Indian beauty. I wanted a new cleanser as I was out of my old one so I thought why not tries something Korean. So I bought it and without boring you guys with any further details of how I bought it, let’s get into the review of it. 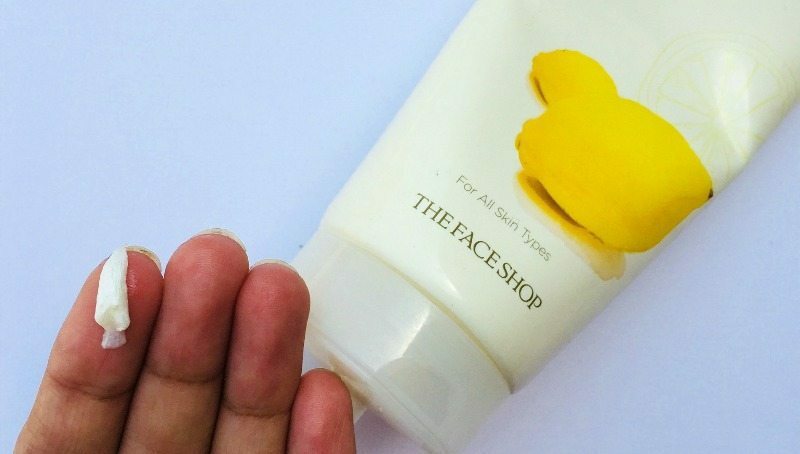 PACKAGING: It comes in a pale yellow colored squeeze tube with the product name on the front of it and its details written in both Korean and English at the back of it. It has a flip top cap and you open it and just squeeze the product out of it as much as you need, thus avoiding any wastage. The tube is really big; I think it’ll last me for more than one and a half month. TEXTURE: As the name says it is foamy and creamy. A little goes way for the amount of the product one needs to wash the entire face. It lathers up pretty good. AFTER USE RESULTS: I have tried a lot of face washes and cleansers but this one is by far my favorite. It actually makes the skin brighter after the use. You can actually see a glow on the face after you use it. It is smooth to apply over the face. It makes my skin look clean and keeps it oil free for a very long time. Although I am using it for about past two weeks I still like it more than any other cleansers I have ever tried. Keeps the face oil free for a good amount of time. I will totally recommend this cleansing foam to everybody. It is totally value for money and although I will keep on trying new stuff I will always keep my stock of this cleanser full. well, it doesn’t really claim anything about acne and I can’t tell you anything about how I treat acne as I don’t really have major acne issues. i have never tried out any of the Face Shop Products…maybe i will start off with this one!! you can surely give it a try, it is really a nice product. Foams give too much lather and sometimes make skin dry and are the major cause of acne. Try using cleansing oil – deepshika..